We’re excited to announce the beta launch of the Expert GalleryTM, a new product for institutions eager to highlight the rich expertise of their faculty. The Expert Gallery facilitates the valuable work of connecting your institution’s researchers with opportunities that might otherwise be missed. Starting August 3rd, groups such as Marketing and Communications and the Office of Research can use the product to better land funding opportunities, speaking engagements, and professional collaborations for top faculty members. 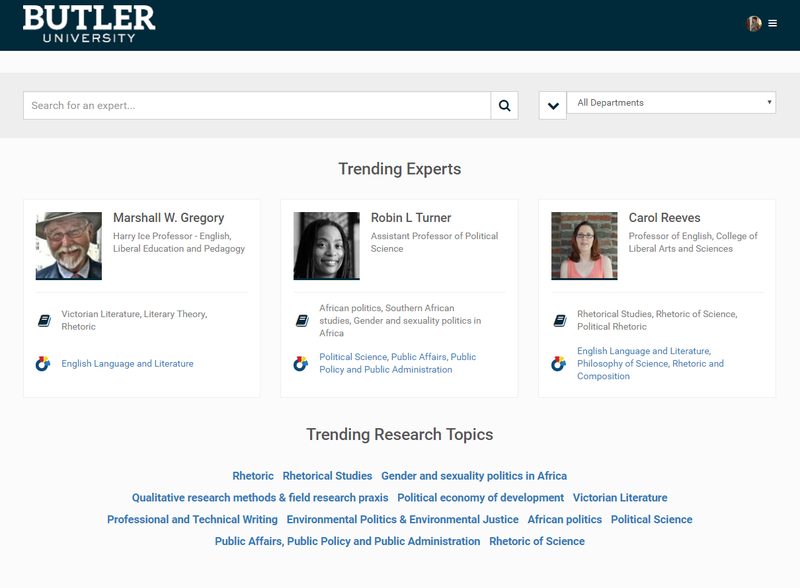 The Expert Gallery is designed to let stakeholders within and outside of the institution find researchers by interest, skill set, and research emphasis: simple searching and browsing, along with the flexibility to create and display custom galleries, helps facilitate targeted discovery for experts on campus. A built-in, rich toolset lets institutions organize, manage, and connect their researchers to the right opportunities and interested parties outside the institution. While most expert galleries contain just biographical information and a bibliography, integration of the bepress Expert Gallery with SelectedWorksTM profiles lets researchers prove their expertise with a full picture of their scholarly research, including published and unpublished works, datasets, teaching materials, and media appearances. Launching the Expert Gallery as a new product reflects an important expansion of bepress’s mission. For years we’ve helped libraries reclaim their central role through providing services across campus. We’ve especially focused on supporting the library in its important efforts to promote the institution through the scholarship it produces. With the Expert Gallery, the library can meet its campus’s needs to go beyond demonstrating the value of its scholarship. Now the library can offer a way to promote the institution through the rich skills of the people who make it unique. We plan to continue on this path of helping institutions maximize the impact of people as well as their people’s scholarship. In early 2017 we will launch a suite of services that includes SelectedWorks, the Expert Gallery, and a set of faculty reporting and analytics tools. The Expert Gallery comes at no additional charge to current SelectedWorks subscribers and anyone who signs up for SelectedWorks by the end of the year.